Explore the fabled Silk Road as you journey through Central Asia’s Five ’Stans: Turkmenistan, Uzbekistan, Tajikistan, Kyrgyzstan, and Kazakhstan. Our trip to the Five Stans with Smithsonian Journeys was extraordinary. Exploring the Silk Road fulfilled a lifelong dream—particularly Samarkand with some of the most magnificent Islamic architecture on the planet. Our trip to the Silk Road cities of days of yore was a fascinating journey into the past. Ancient cities like Bukhara and Samarkand took on a modern cast after our fabulous Smithsonian trip there. 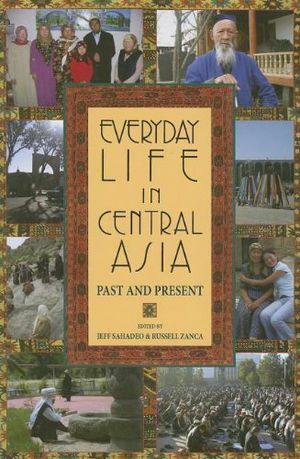 Central Asia with Smithsonian Journeys was an eye-opening experience to a little-known part of the world. One of the most memorable trips I have ever taken. Elegant yet traditional, the Oguzkent Hotel is situated in Ashkabad's city center, across from Neutrality Park. Designed for comfort and convenience, rooms come with a minibar, safe, air conditioning and WiFi. Three restaurants, a spa and mall are also located within the hotel. Located just outside of Ichon Qala and a two-minute walk from the city wall, Hotel Asia Khiva offers a beautiful lobby, a restaurant with its own bakery, bar, conference hall, Internet, pool and sauna. All rooms have air-conditioning, satellite TV, phone and minibar. This charming property is a boutique hotel decorated in the national style. Fashioned from several old Jewish merchant houses, it contains high ceilings, exposed beams, and beautifully decorated niches. All rooms have private toilet and shower/bathing facilities, and are air-conditioned with satellite TV, WiFi and minibar. The rooms surround a nice gardened courtyard. Located only a mile from Samarkand's historic center, the Emir Han hotel features two restaurants, a fitness center, indoor and outdoor swimming pools, a Finnish sauna and a Turkish bath. Rooms come furnished with a flat-screen satellite TV, minibar, in-room safe, air-conditioning, and complimentary WiFi. The modern and comfortable Sugd Hotel is located about a 15-minute walk from the city center. A lobby bar, shop and Internet access can be found in the public spaces, and rooms include TV, minifridge and hair dryer. Located in the heart of the city, the updated Lotte City Hotel Tashkent Palace re-opened in 2013. The elegant hotel features two restaurants, one of them on the rooftop, serving regional and international cuisine. A piano bar, fitness center, outdoor pool, sauna and spa services round out the amenities. Rooms include deluxe beds, air conditioning, WiFi, satellite TV, minibar and hairdryer. Located in the city center within walking distance of the main square, the four star Plaza Hotel features a gourmet restaurant and bar, as well as a fitness center with lap pool and sauna. Rooms include satellite TV, minifridge, in-room safe, WiFi and coffeemaker. Located in downtown Almaty, the five-star Intercontinental is beautifully appointed with a grand atrium entryway. Rooms have a minibar, air conditioning and satellite TV. Multiple restaurants on the property serve everything from Chinese to Turkish cuisine and the French-inspired Belvedere Grill with its rooftop-dining terrace is known as one of the best restaurants in the city. A Turkish bath is available at the onsite spa along with an indoor pool, tennis courts and golf courses. Expectations: Longer trip featuring an exotic and sometimes challenging destination, with multiple hotel changes, two internal flights, and long coach rides (from three to eight hours). (Coaches are all modern and comfortable but do not provide a restroom.) This tour features a fast pace, long days of touring with daily activity of five to eight hours on most days, with extended walking of generally two to three miles. Walking entails sometimes difficult terrain (uneven surfaces, uneven steps in older buildings, city hills, steep staircases without handrails, little access to elevators even in some hotels), walking to city centers where coaches are prohibited, and navigating through crowds. Road conditions may vary from smooth highways to bumpy asphalt roads with potholes. Overland border crossings may require crossing up to half a mile on foot while carrying your own hand luggage. This tour entails altitudes up to 6,000 feet, which may cause some travelers additional effort. Every effort is made for comfort during this trip, however flexibility, a sense of humor, and a willingness to accept local standards of amenities and services are essential components to the enjoyment of this trip. 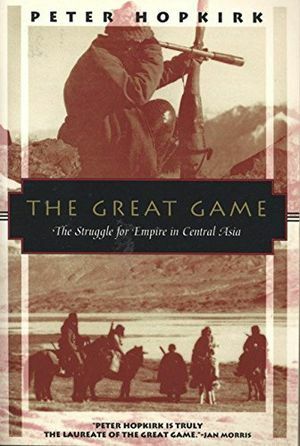 THE GREATGAME: THE EPIC STORY BEHIND TODAY’S HEADLINESPeter Hopkirk’s spellbinding account of the great imperial struggle for supremacy in Central Asoa has been hailed as essential reading with that era’s legacy playing itself out today.The Great Game between Victorian Britain and Tsarist Russia was fought across desolate terrain from the Caucasus to China, over the lonely passes of the Parmirs and Karakorams, in the blazing Kerman and Helmund deserts, and through the caravan towns of the old Silk Road—both powers scrambling to control access to the riches of India and the East. When play first began, the frontiers of Russia and British India lay 2000 miles apart; by the end, this distance had shrunk to twenty miles at some points. Now, in the vacuum left by the disintegration of the Soviet Union, there is once again talk of Russian soldiers "dipping their toes in the Indian Ocean. "The Washington Post has said that "every story Peter Hopkirk touches is totally engrossing." In this gripping narrative he recounts a breathtaking tale of espionage and treachery through the actual experiences of its colorful characters. Based on meticulous scholarship and on-the-spot research, this is the history at the core of today’s geopolitics. The Silk Road, a series of ancient trade routes stretching across Central Asia to Europe, evokes exotic images of camel trains laden with bales of fine Chinese silk, spices, and perfume, of desert oases surrounded by snow-capped mountains, of bustling markets thronging with travellers buying and selling grapes, coriander, Baltic amber, and Mediterranean coral. Along this route, silks were sent from China to ancient Rome; princesses were dispatched in marriage alliances across the deserts; bandits and thieves launched attacks throughout history. Covering more than 5,000 years, this book, lavishly illustrated with photographs, manuscripts, and paintings from the collections of the British Library and other museums worldwide, presents an overall picture of the history and cultures of the Silk Road. It also contains many previously unpublished photographs by the great explorers Stein, Hedin, and Mannerheim. More than just a trade route, the Silk Road witnessed the movement of cultural influences. Frances Wood traces the story of the civilizations and ideas that flourished and moved along its vast geographical expanse. Indian Buddhism was carried into China on the Silk Road, initiating a long history of pilgrimages along the lonely desert routes; Manichaeism, Nestorian Christianity, and Islam also made their way eastwards along its route. The nineteenth century saw a new interest in Central Asia and the Silk Road, as Russia and Britain vied for power on the frontiers of Afghanistan. A new breed of explorer, part archaeologist, part cartographer, part spy, was seen on the Silk Road, while some of the ancient cities, long buried in sand-blown dunes, began to give up their secrets. This book brings the history of the Silk Road alive--from its beginnings to the present day, revealing a rich history still in the making. 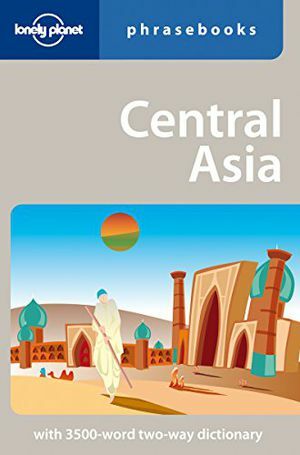 Folded travel map for Central Asia, contained inside a hardbound paper, up to date with all roads and city informations available at the time of publication. Made famous in the West by the Venetian adventurer Marco Polo, the ancient Silk Road spanned one-quarter of the circumference of the Earth. The network developed over many centuries, and as trading patterns shifted, cities rose and fell in importance. In its heyday it stretched from Luoyang and Xi'an in China, through Central Asia to Istanbul and Rome. 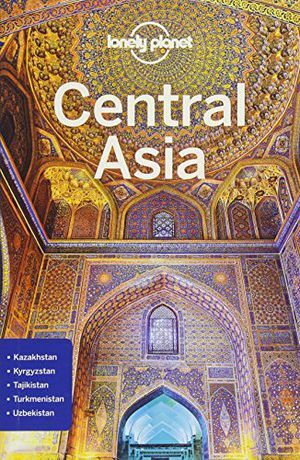 For this 2nd Edition, a number of important trade routes dating to more recent centuries are shown, with four detailed maps of the Silk Road’s arteries supplemented by 33 colour photographs and historical notes on key places and notable people. Over hundreds of years, various ethnic groups have passed through this city, sharing and influencing each other's cuisine and leaving their culinary stamp. 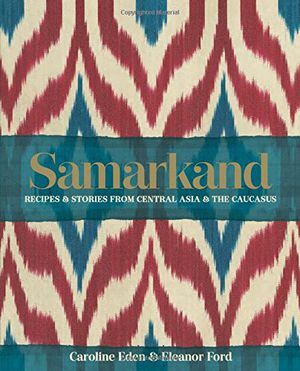 Samarkand is a love letter to Central Asia and the Caucasus, containing travel essays, beautiful photography and recipes that are little known in the West that have been expertly adapted for the home cook. There is an introduction to the region (explaining the ethnic groups – Uzbeks, Tajiks, Russian, Turkis, Koryo-Saram, Jewish, Caucasus, Afghan) with a useful pantry of essential ingredients, followed by an array of delicious dishes. These include Lamb Kebabs with Cinnamon, Cloves & Hot Hummus, Pumpkin Stuffed with Jeweled Rice, Pomegranate & Vodka Sorbet and the all-important breads of the region – non, flatbreads and pides. 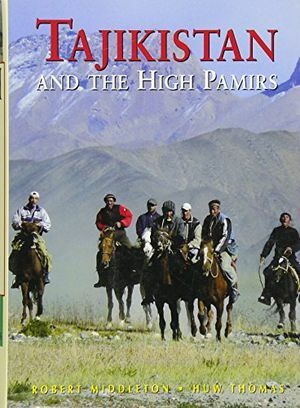 In this sweeping and richly illustrated history, S. Frederick Starr tells the fascinating but largely unknown story of Central Asia's medieval enlightenment through the eventful lives and astonishing accomplishments of its greatest minds--remarkable figures who built a bridge to the modern world. Because nearly all of these figures wrote in Arabic, they were long assumed to have been Arabs. 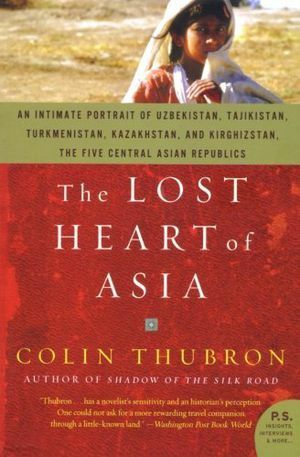 In fact, they were from Central Asia--drawn from the Persianate and Turkic peoples of a region that today extends from Kazakhstan southward through Afghanistan, and from the easternmost province of Iran through Xinjiang, China. 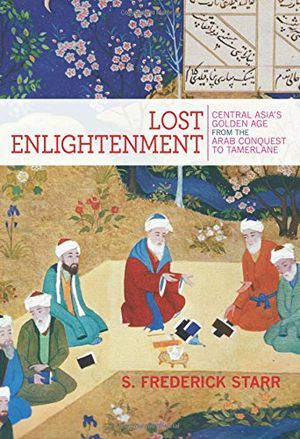 Lost Enlightenment recounts how, between the years 800 and 1200, Central Asia led the world in trade and economic development, the size and sophistication of its cities, the refinement of its arts, and, above all, in the advancement of knowledge in many fields. 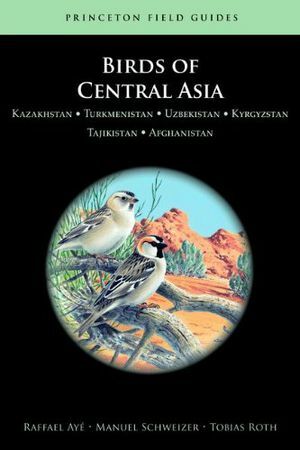 Central Asians achieved signal breakthroughs in astronomy, mathematics, geology, medicine, chemistry, music, social science, philosophy, and theology, among other subjects. They gave algebra its name, calculated the earth's diameter with unprecedented precision, wrote the books that later defined European medicine, and penned some of the world's greatest poetry. One scholar, working in Afghanistan, even predicted the existence of North and South America--five centuries before Columbus. Rarely in history has a more impressive group of polymaths appeared at one place and time. No wonder that their writings influenced European culture from the time of St. Thomas Aquinas down to the scientific revolution, and had a similarly deep impact in India and much of Asia. Lost Enlightenment chronicles this forgotten age of achievement, seeks to explain its rise, and explores the competing theories about the cause of its eventual demise. Informed by the latest scholarship yet written in a lively and accessible style, this is a book that will surprise general readers and specialists alike. 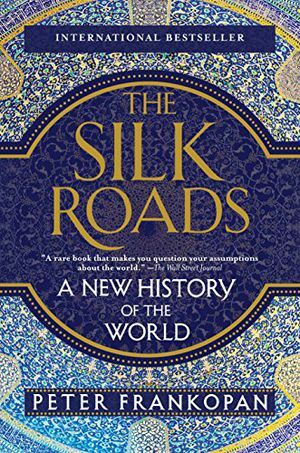 Far more than a history of the Silk Roads, this book is truly a revelatory new history of the world, promising to destabilize notions of where we come from and where we are headed next. From the Middle East and its political instability to China and its economic rise, the vast region stretching eastward from the Balkans across the steppe and South Asia has been thrust into the global spotlight in recent years. Frankopan teaches us that to understand what is at stake for the cities and nations built on these intricate trade routes, we must first understand their astounding pasts. Frankopan realigns our understanding of the world, pointing us eastward. It was on the Silk Roads that East and West first encountered each other through trade and conquest, leading to the spread of ideas, cultures and religions. 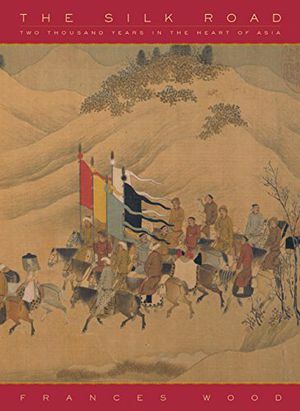 From the rise and fall of empires to the spread of Buddhism and the advent of Christianity and Islam, right up to the great wars of the twentieth century—this book shows how the fate of the West has always been inextricably linked to the East. 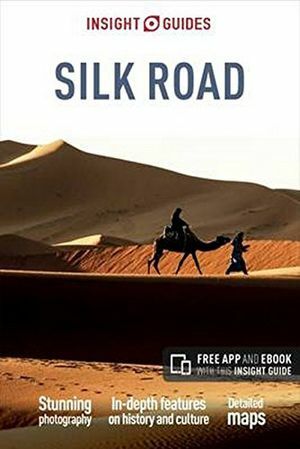 The phrase "silk road" evokes vivid scenes of merchants leading camel caravans across vast stretches to trade exotic goods in glittering Oriental bazaars, of pilgrims braving bandits and frozen mountain passes to spread their faith across Asia. Looking at the reality behind these images, this Very Short Introduction illuminates the historical background against which the silk road flourished, shedding light on the importance of old-world cultural exchange to Eurasian and world history. 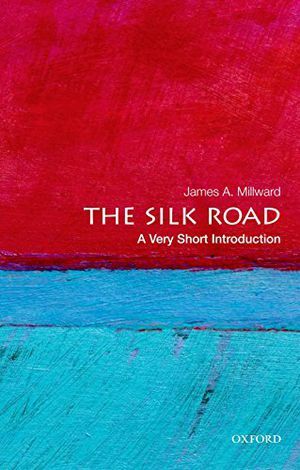 On the one hand, historian James A. Millward treats the silk road broadly, to stand in for the cross-cultural communication between peoples across the Eurasian continent since at least the Neolithic era. On the other, he highlights specific examples of goods and ideas exchanged between the Mediterranean, Persia, India, and China, along with the significance of these exchanges. 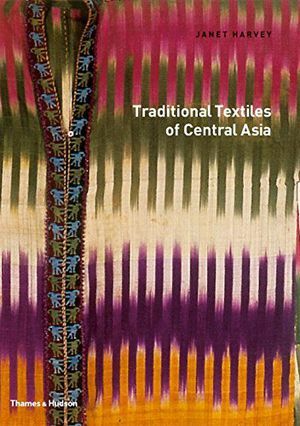 While including silks, spices, and travelers' tales of colorful locales, the book explains the dynamics of Central Eurasian history that promoted Silk Road interactions--especially the role of nomad empires--highlighting the importance of the biological, technological, artistic, intellectual, and religious interchanges across the continent. Millward shows that these exchanges had a profound effect on the old world that was akin to, if not on the scale of, modern globalization. 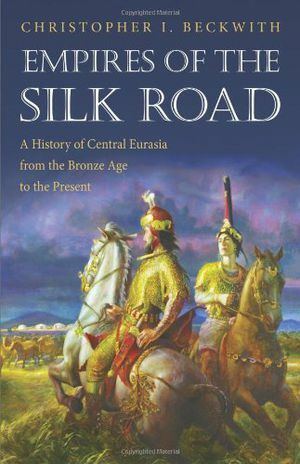 He also disputes the idea that the silk road declined after the collapse of the Mongol empire or the opening of direct sea routes from Europe to Asia, showing how silk road phenomena continued through the early modern and modern expansion of the Russian and Chinese states across Central Asia.Millward concludes that the idea of the silk road has remained powerful, not only as a popular name for boutiques and restaurants, but also in modern politics and diplomacy, such as U.S. Secretary of State Hilary Clinton's "Silk Road Initiative" for India, Pakistan, and Afghanistan. 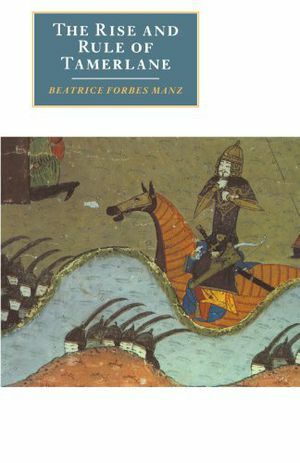 This is the first serious study of Tamerlane, the great nomad conqueror who rose to power in 1370 on the ruins of the Mongol Empire and led his armies on campaigns of unprecedented scope, ranging from Moscow to Delhi. As the last nomad ruler to unite the steppe regions of Eurasia, Tamerlane marks the transition from the era of nomad conquest and rule to the modern ascendency of the settled world. 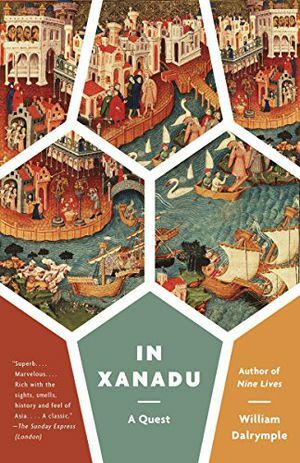 William Dalrymple’s award-winning first book: his classic, fiercely intelligent and wonderfully entertaining account of his journey across Marco Polo’s 700-year-old route from Jerusalem to Xanadu, the summer palace of Kubla Khan. At the age of twenty-two, Dalrymple left his college in Cambridge to travel to the ruins of Kubla Khan’s stately pleasure dome in Xanadu. 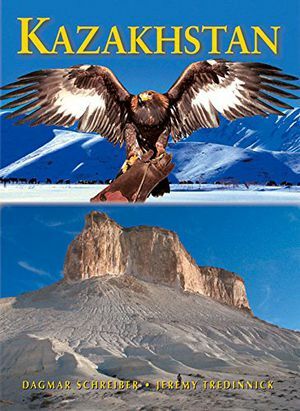 As he and his companions travel across the width of Asia—crossing through Acre, Aleppo, Tabriz, Tashkurgan, and other mysterious and sometimes hellish places—they encounter dusty, forgotten roads, unexpected hospitality, and difficult challenges. Stylish, witty, and knowledgeable about everything from the dreaded order of Assassins to the hidden origins of the Three Magi, this is travel writing at its best. 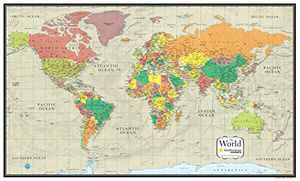 International airfare between the U.S. and the tour start and end cities; air taxes or fuel surcharges; pre- or post-tour services; visa or passport fees; medical and trip cancellation/ interruption insurance; evacuation costs; food or beverages not included in group meals; baggage handling at airports; items of personal nature such as laundry, alcohol, additional beverages with included meals, telephone expenses, excess baggage fees, baggage handling at airports and railway stations, photo/video expenses inside museums (where allowed); other items not expressly listed as included. To submit a reservation request, please use our secure online system at SmithsonianJourneys.org or call a Cultural Travel Specialist, at 1-855-330-1542 Mon-Fri 9 am - 7 pm; Sat 9 am – 4 pm (Eastern Time). Submitting an online request does not guarantee space on a tour. You will be notified by a Reservation Specialist of your status once your request has been received and processed. A deposit of $1,000 per person is required to reserve a space on a tour. All payments may be made by credit card or check to the tour operator. Deposits are applied to final payment of the tour price. Please note that these tours require that participants be in good physical condition. You must be capable, without assistance, of walking a minimum of two miles over uneven terrain and of climbing stairs that may not have handrails. Participants should have sufficient stamina to keep pace with an active group of travelers on long days of touring. If you have any questions about your ability to participate in a tour, please call us at 855-330-1542. Some tours have additional notes regarding physical and medical considerations, which may be discussed with the Cultural Travel Specialist at 855-330-1542. © 2019 Smithsonian Journeys. All rights reserved.